In a long five-day series in Hawaii, the Bears were able to win the majority of their games, going 3-2 in the tournament in paradise. 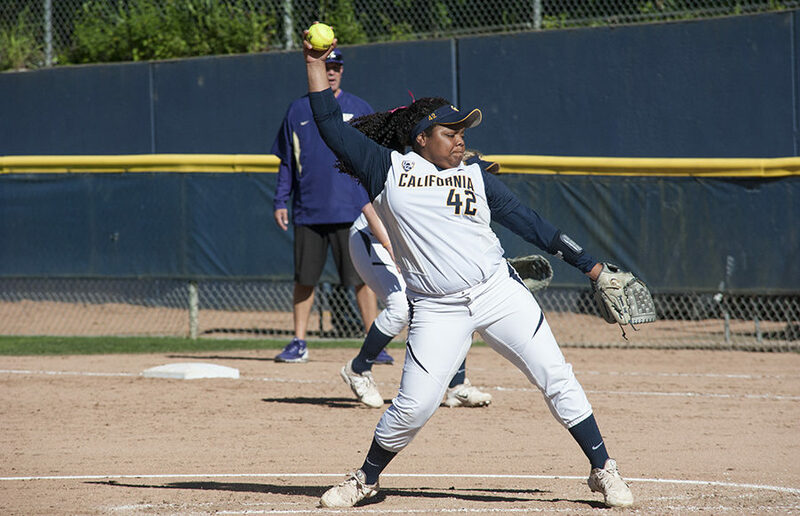 The highlight, without question, was junior Kamalani Dung, who threw a perfect game in her home state. Dung had a fantastic series as a whole, posting a 1.23 ERA in 17.1 innings pitched while striking out 25 batters. With another string of stellar performances, Dung improves her ERA on the season to 1.51 on the season over 60.1 innings pitched. Along with redshirt junior Zoe Conley, the pitching staff only allowed 15 runs over five games during the tournament. 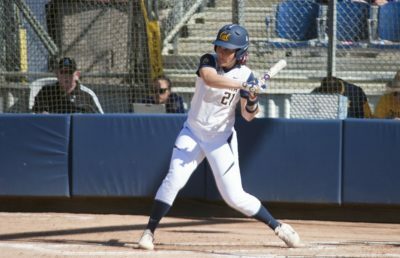 At the plate, freshman Mikayla Coelho again led the way for Cal, batting .400 with two home runs over the five-day stretch. Coelho is now hitting .411 on the season with team highs in home runs and RBI, among other offensive stats. Cal’s first win of the weekend was a 5-0 shutout victory over host Hawaii on Wednesday evening. The Bears’ pitching was dominant, allowing only four hits while striking out 10 batters. Dung picked up her eighth win and Conley her fourth save. Coelho hit her fourth home run of the season and continues to lead the team in the category. In its second game of the tournament, Cal delivered yet another shutout, this time besting UTEP, 4-0. Dung was outstanding and delivered the most coveted pitcher’s performance possible: a perfect game. In addition to yielding no hits or walks, Dung also fanned 12 batters Thursday afternoon. Senior Jazmyn Jackson turned in a good day at the plate, going 2 for 4 with a run. The Bears’ first loss of the weekend came at the hands of James Madison, 1-5, on Friday. Cal was able to hold a 1-0 lead until the top of the sixth inning, when the score came even. In the top of the seventh, the Dukes were finally able to get to Conley, piling on four runs. Coelho continued her hot hitting, going 2 for 3 with a double in the loss. The Bears were able to get back on track with a win in their Saturday slate against East Carolina, downing the Pirates by a final score of 6-4. Cal rode an early five-run lead to the finish line, and Dung earned her 10th win of the season. Extending an impressive weekend at the plate, Coelho went 3 for 5 with an RBI to the lead the charge offensively for the Bears. Jackson also hit well, piecing together a pair of hits and an RBI. 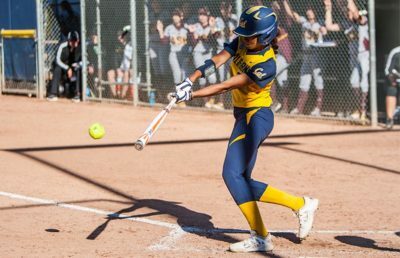 The toll of a five-day series showed in Cal’s final game of the tournament, which it dropped to Longwood, 4-6, on Sunday. Conley had a rare off day in the circle, giving up five earned runs, including four in the sixth inning rally that proved to be the nail in the coffin. The Bears offense was flat as well, mustering only three hits. The sole bright spot was Coelho’s fifth home run of the season. After improving to 18-3 overall, Cal looks forward to another tournament, this one a bit closer to home. The Bears will travel to Fresno State for a weekend series featuring doubleheaders Friday and Saturday and a fifth and final game Sunday.